The Library is an online repository of technical information created by our own staff for the benefit of the veterinary community. Pet owners are always welcome to review the contents of the Library, but should be aware that material in this section is intended primarily for professional use. If you are a Canada West client and have questions about your own pet’s condition or care, please contact the front desk. If you are not a Canada West client, please contact your family veterinarian. 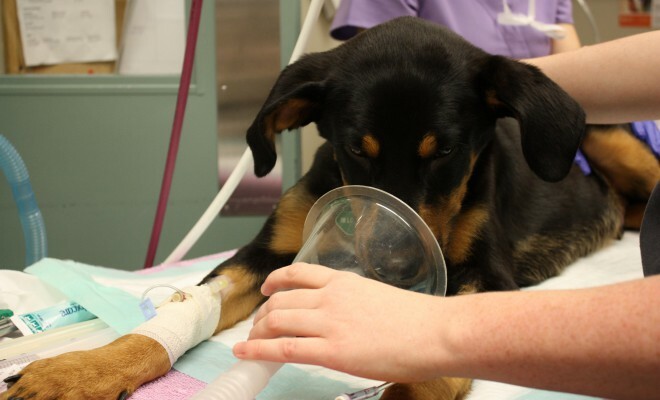 On November 3, 2015 Taylor, a 7-month old german shepherd/doberman cross, became the first dog in British Columbia to successfully undergo open-heart surgery. The procedure was done here at Canada West Veterinary Specialists hospital, and involved a 12-person Canada West team led by surgeon Dr. Michael King and cardiologist Dr. Marco Margiocco. 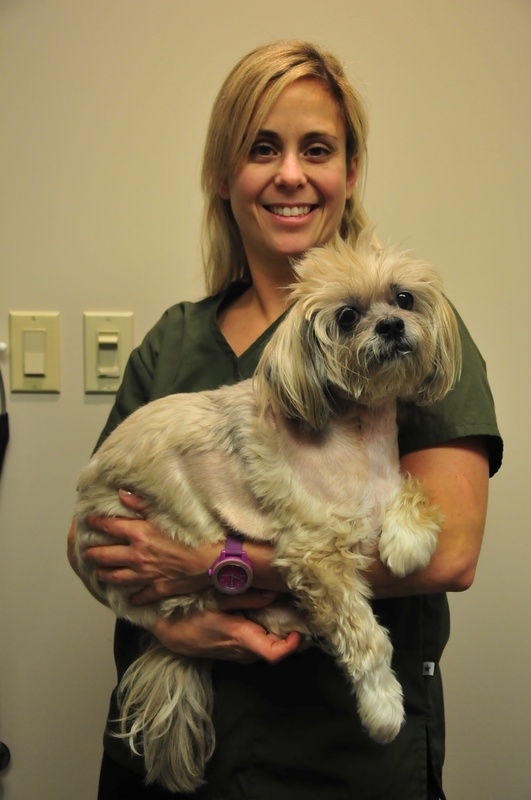 Dharma is a 13 year old female spayed Lhasa Apso referred to the Cardiology Service at Canada West Veterinary Specialists in October 2011 with a history of exercise intolerance. Dharma was diagnosed with an arrhythmia during a wellness examination by her regular veterinarian. Dharma also had an episode of acute weakness (“flopping down”) while walking, approximately two weeks prior to our evaluation. She was not on any medications at that time. A standard ECG showed the presence of second degree AV block with an average ventricular rate of 80 BPM. An atropine test was performed that showed only partial response to atropine, indicating that structural damage to the conduction system was present. An echocardiogram showed normal cardiac morphology, dimensions and function, ruling out the absence of other significant heart diseases.